Car accidents happen every day but never seem so terrifying and deadly. On the other hand, air transport is considered as the safest form of all transport mediums. The Airline accidents are rare but usually deadly. The only good thing about these deadly accidents is they help to make the technology more advanced and air travel safer for future. Most of these accidents occurred between the 70s and 90s. The air crash caused by terrorist activity is not included in the article. Here is the list of the Deadliest Airline Disasters in History. On 23rd September 1989, a regular flight from Bangkok to Vienna broke up into two pieces during the flight. All 223 people died (including ten crew members) in the air. This accident gained popularity because Niki Lauda, a former F1 champion investigated it personally. It is believed that the thrust reverses is the reason of the crash. No one survived the accident. On 25th May 2002, a China Airline Boeing 747 gets distracted from its route and crashed just 20 minutes after takeoff, into the sea near Taiwan. All 206 passengers and 19 crew members died in the crash. That was the last Boeing 747 airliner in service with China airlines. Only 175 passenger’s dead bodies were recovered, floating on the surface of water. Korean Air Flight 801 crashed on 6th August 1997 while travelling to the Antonio International airport. It was crashed into the United States territory of Guam. 228 out of 254 people died on the board. Only 26 passengers survived the crash with serious injuries. There is no exact reason of the crash but an amount of $70 million was distributed to the families of the fatalities. On 1st June 2009, Air France Flight 447 gets disappeared while on approach to Paris from Rio de Janeiro. After a few minutes, the plane crashed into the Atlantic Ocean. All 228 people including 12 crew members were killed on the board. This was the second and the deadliest aircraft accident related to Boeing 330 airline. The final report of the investigation has no proof of the reason of the crash. Swissair Flight 111 was on its regular flight from John Kennedy international airport to Cointrin international airport in Switzerland. On 2nd September 1998, it crashed into the Atlantic Ocean, 8 km away from the shore. All 229 people including 14 crew members died in the crash. That was the highest death toll McDonnell Douglas airliner. On 17th July 1996, TWA 800 was on its approach to Leonardo da Vinco airport. Trans World Airlines or TWA 800 exploded in the air and crashed into the Atlantic Ocean. After the four year investigation, they concluded that the reason of the accident was the explosion of the fuel tank. All 212 passengers and 18 crew members died on the board. Garuda International Flight 152 was a domestic flight between Soekarno Hatta airport and Polonia airport in Sumatra. On 26th September 1997, the aircraft crashed into the mountains of Medan. It was piloted by an experienced pilot. He lost control due to an air storm in 1997. All 234 people died in the crash and 48 of the dead bodies were never identified and were buried in a mass grave. The Air Africa crash occurred on 8th January 1996 when an aircraft overrun the runway at N’Dolo airport and ran into a marketplace. The aircraft killed 237 people in the market and injured more than 500 people. All 6 crew members survived the crash and this is the highest number of non-passengers fatalities caused by an aircraft crash. Malaysia airline flight or MH 370 was scheduled passenger flight from Kuala Lumpur airport to Beijing International airport. On 8th March 2014, the aircraft lost single with air traffic control and disappeared in less than an hour after takeoff. The aircraft was carrying 239 people including 227 passengers from 14 different countries and 12 crew members. Since 8th March 2014 there has been no evidence of any flight litter and even the crash site hasn’t been found yet. If the authorities confirm it as an accident then this will be one of the deadliest aviation accidents in recent history. Arrow Air Flight 1285 crashed on 12th December 1985. It was on approach to the Fort Campbell airport. Just after the takeoff, the aircraft burned about half a mile on the runway. The crash killed all 256 people including 8 crew members. The investigation report stated that the accident might be caused by an explosion but the origin of the explosion is unknown. On 28th November 1979, Air New Zealand Flight 901 collided with a mountain, killing all 257 people on board. This accident is also known as Mount Erebus disaster. First report concluded that the accident was caused by the pilot mistake. The other investigation report concluded that the flight coordinates was changed at night before the disaster and crew members didn’t know about it. Nigeria Airways Flight 2120 was a chartered airliner flight from Saudi Arabia to Nigeria. On 11th July 1991, the aircraft crashed just after the takeoff and all 261 people died on the board. In the investigation report, they concluded that two tires were below the minimum limit of pressure. The aircraft was not equipped with fire sensors. While running on the runway, the tire caught fire along with the electrical system. China Airline Flight 140 was a regular passenger airliner of China. On 26 April 1994, it crashed on the runway due to pilot’s error. Out of 271 people, 264 people including 15 crew members died on board. Just before landing, the pilot pressed the takeoff button which changed the wing positions as a takeoff and the aircraft crashed onto the ground. On 12th November 2001, American Airline Flight 587 crashed into the Belle Harbor near Queens, New York. All 260 people on board were killed with five other people on the ground. The accident took only two months after the 9/11 attacks, so everyone thought that this could be a terrorist act. Later, the NTSB founds that there was a problem with the rudder of the aircraft. Korean Airline Flight 007 was an arranged flight from New York City to Seoul. On 1st September 1983, due to incorrect navigation system, the flight slightly deviated toward the north and entered North Korea. The airliner was shot down by the Soviet Interceptor near Moneron Island, Sea of Japan. All the 246 passengers and 23 crew members were killed. Initially the Soviet Union denied any knowledge about the plane and summons the United States for sending the plane to spy on them. There are still some controversy and deception theories about the plane. Pan Am Flight 103 was a scheduled flight from Frankfurt airport to the Detroit airport. It was destroyed by a terrorist attack on 21st December 1988. All 259 people on the aircraft died on board along with 11 people on the ground. A bag with the bomb was placed at the Frankfurt airport while the baggage area had been broken for many hours. There is no proof about the person who placed the bomb in the aircraft. There are numerous theories regarding the destruction of the plane. American Airlines Flight 191 was a scheduled passenger flight from O’Hare International airport to Los Angeles International airport. On 25th May 1979, plane crashed just few minutes after the takeoff from Chicago. A total of 273 people were killed including 258 passengers, 13 crew and 2 on the ground. This deadliest accident occurred due to the improper maintenance of the plane, which resulted in loss of control. The Iranian Airline Crash occurred on 19th February 2003 near Kerman in Iran. The aircraft was flying from Zahedan airport to Kerman airport and carrying member of the Islamic Revolutionary Guards, a special force. During landing in poor weather condition the pilot lost the control and the plane crashed. All the 275 people including 257 passengers and 18 crew members were killed. It is the deadliest aircraft accident on Iranian soil. Iran Air Flight 655 was an Iran civilian flight from Tehran to Dubai. On 3rd July 1988, the aircraft shot down by the United States Navy missiles. All 290 people including 274 passengers and 16 crew members were killed. The Unites States government stated that they incorrectly identified the civilian aircraft as an attacking fighter plane. After the settlements the United States agreed to pay $62 million to all the victim’s families but never apologized to Iran. Malaysia Airline Flight 17 was a passenger flight from Amsterdam to Kuala Lumpur, crashed on 17th July 2014. All 283 passengers and 15 crew members died in the accident. The American intelligence source says that Russian shot down the plane using a ground to air missile, but Russian is blaming the Ukrainian government. The final report is expected to be out in mid-2015. Saudia Flight 163 was a scheduled passenger flight from Quaid e Azam International airport, Pakistan to Jeddah International airport, Saudi Arabia. On 19th August 1980, the aircraft caught fire after takeoff from Riyadh airport to Jeddah airport. All 287 passengers and 14 crew members died after the aircraft made an emergency landing at the Riyadh airport. 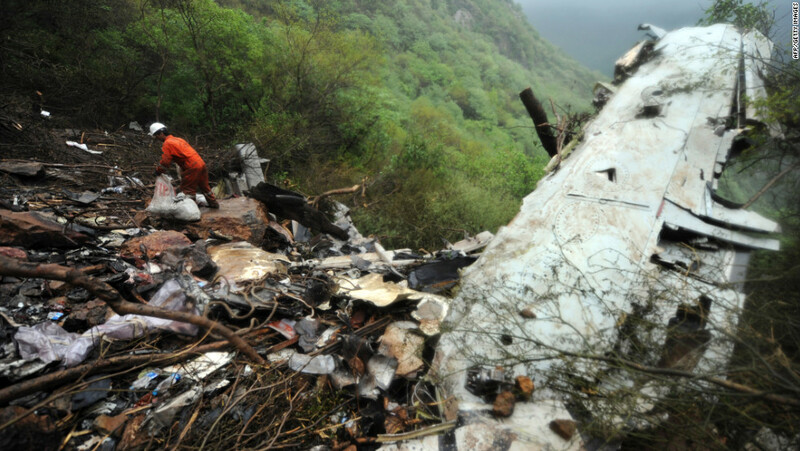 It is one of the deadliest aviation disasters that did not involve a crash. Air India 182 was a Boeing 747 airliner that was destroyed by a bomb on 23rd June 1985. It crashed into the Atlantic Ocean and a total of 328 people died including 307 passengers and 21 crew members. Most of the suspects were members of a Sikh community and planned the attack against the Indian army to take revenge of the 1984 riots in Punjab, India. All the suspects found not guilty because there was no strong proof against them. Turkish Airlines Flight 981 was scheduled from Istanbul, Turkey to London international airport. The flight was a McDonnell Douglas type of aircraft that was crashed in France on 3rd March 1974. The reason behind the crash was an improper cargo door leading to explosive decompression, resulted in loss of control. A total of 346 were killed including 335 passengers and 11 crew members. The Charkhi Dadri Collision occurred on 12th November 1996 over the Charkhi Dadri village, Haryana, India. Two aircraft involved were a Saudi Arabian airline, route from New Delhi to Saudi Arabia and Kazakhstan airline, route from Kazakhstan to New Delhi. The collision killed all 349 people on the aircraft, making it the most horrifying mid-air collision. It was the deadliest aviation accident occurred in India. Japan Airlines Flight 123 was a scheduled domestic Japan airline flight from Tokyo international airport to Osaka international airport. On 12th August 1985, the aircraft crashed in Mount Takamagahara near Tokyo due to catastrophic hydraulic failure and maintenance errors. All 15 crew members and 505 out of 509 passengers died in the crash. It was one of the most shocking accidents ever occurred on Japanese soil. The Tenerife airport disaster is the worst airline disaster in history occurred on 27th March 1977. It was a deadly collision between two Boeing 747 passenger aircraft at Los Rodeos airport, Spain. After a bomb attack at Gran Canaria airport, few flights were diverted to Los Rodeos airport. The crash was caused by the heavy airline traffic (at Los Rodeos airport) and dense fog. The accident killed 583 people on the plane. Where did the author of this story get his or her information? The crew becoming distracted had nothing to do with the crash of China Airline Flight 611. The subsequent investigation concluded that an incorrectly repaired bulkhead gave way and caused the airplane to break up in mid flight.